Diabet-X Callus Treatment Cream gently softens and eliminates callus. 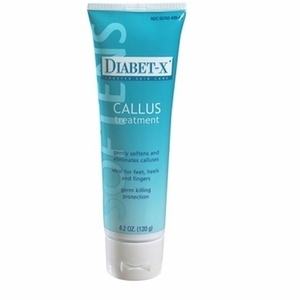 Diabet-X foot callus removal cream is ideal for feet, heels, elbows, and fingers. This callus remover cream does not use ingredients that dissolve or burn skin tissue like other callus or wart remover products.